Though many of us don’t deal in the world of luxury real estate every day, there’s no denying the appeal of glossy images of high-end homes. There’s a reason why Dwell and Architectural Digest end up on so many coffee tables, after all. The draw is even stronger for real estate professionals — I can’t tell you how many agents and brokers have confided that, while they live for the mission of helping clients buy and sell homes, the perk of being able to look at beautiful houses for a living is one they also relish. 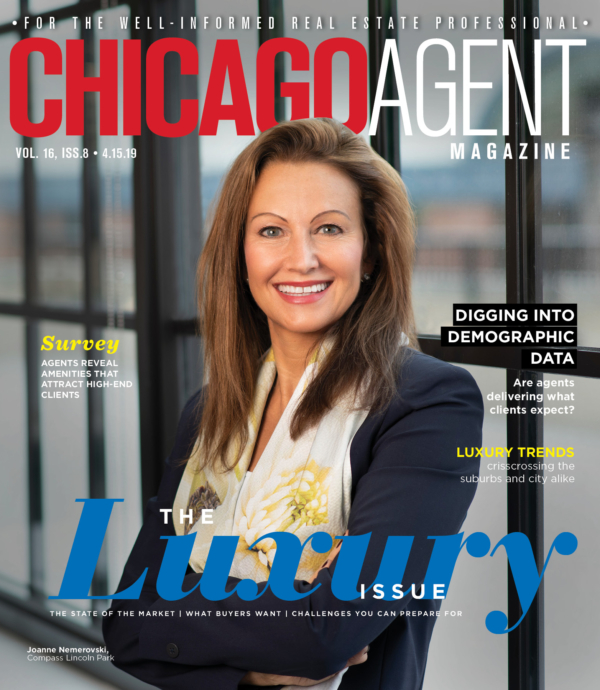 Of course, Chicago Agent magazine has a bit of a different mission than those that celebrate pretty places, which is why our take on the luxury market is distinct. We like to think of ourselves as a resource for agents who work with — or want to be able to work with — high-end clients. And that brings us to the spring luxury issue before you, which contains a good variety of information and advice. First of all, the luxury market is changing, and you need to be prepared for that shift. Also, though there are many commonalities across real estate niches, there are challenges that are unique to high-end sales — what are they and how can you prepare for them? For those looking to break into the luxury market, it’s important to understand what you need to do differently when handling luxury deals and how to come up with creative ways to deal with the particulars that pop up with this kind of marketplace. But regardless of the kinds of clients you work with, there’s always an opportunity to learn from those who are working on the high end. After all, delivering luxury-level service is something all your clients will love you for.